Sakurako Uehara, would likely need repeated surgeries until she was a grown woman. 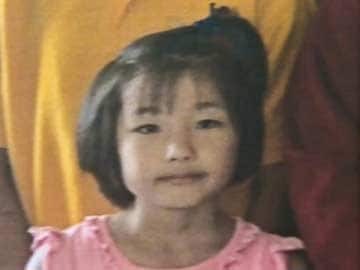 Auckland: New Zealand doctors said Friday that a 7-year-old Japanese girl was bitten about 100 times during a dog mauling that has horrified many in the South Pacific nation. Zac Moaveni, a plastic and reconstructive surgeon at Auckland's Middlemore Hospital, told reporters that the girl, Sakurako Uehara, would likely need repeated surgeries until she was a grown woman. He said she would have been conscious throughout the attack and the bites were all over her body. "Any one of those would make you wince," he said, adding that "it's not just the bite with a dog, but it's the crush and the force that's behind it. It's a very different injury than to say a stab wound, or a cat bite." Hospital officials said Friday the girl remained in a critical but stable condition. According to police, the girl was attacked Monday by four Staffordshire bull terrier-cross dogs in the North Island town of Murupara while her family was visiting friends who owned the animals. A social worker read reporters a statement from the girl's family, in which they said they worked in the food industry in Japan and that Sakurako was their only daughter. "We don't know what to expect in the coming weeks and months. We have a long journey ahead," the statement said. "We simply wish to take things one day at a time. We are grateful for all the various offers of support. Many people want to know how they can help. Please just keep Sakurako in your prayers." Fairfax Media reported that the girl was enrolled at a Maori language immersion school in Murupara for a month and that the family was planning to return to Japan to sort out residency requirements for a longer stay in New Zealand. Concerned observers have donated more than 100,000 New Zealand dollars ($85,000) to help the family. Police said they are investigating whether to lay criminal charges against the dog owners or anyone else.